Light and cool. 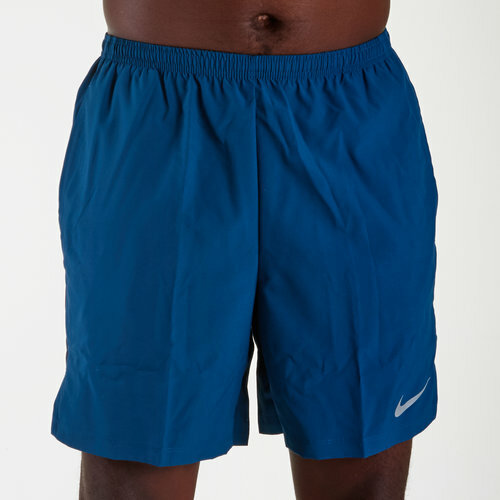 You'll hardly even realise that Nike's Challenger 7 Inch Dri-FIT Training Shorts in Blue Force and Obsidian are pulled on. Made from polyester, a shell-like feel to the shorts combines with a mesh lining to deliver a light touch that certainly won't hinder your performance but could well improve it. Packed with Nike's performance Dri-FIT fabric, you won't exactly notice it but this helps keep you cool and dry as the action heats up. There's no need to worry about your essentials either, such as keys, loose change or your phone, as open side pockets are included along with a zipped rear one.